When most people are headed to the beach, our producer heads for the ski slopes near his home in Utah. Carrier explains that the combination of freezing and thawing in the late spring gives the mountain snow pack a special quality that makes for a unique skiing experience. A culinary tour of Morocco, where food and culture are Inseparable. Piece ends 3min, trailing out music. When Eric Molinsky lived in Los Angeles, he kept hearing this story about a bygone transportation system called the Red Car. The Red Car, he was told, had been this amazing network of streetcars that connected the city—until a car company bought it, dismantled it, and forced a dependency on freeways. If this sounds familiar, it might be because it was the evil scheme revealed at the end of the Robert Zemeckis’s 1988 movie, Who Framed Roger Rabbit? But like most legends, the one that Eric heard about the Red Car is not entirely accurate. It’s true that Los Angeles did have an extensive mass transit system called the Red Car, which at one time ran on 1,100 miles of track—about 25 percent more more track mileage than New York City has today, a century later. But the Red Car wasn’t the victim of a conspiracy. The Red Car was the conspiracy. Our reporter Eric Molinsky spoke with historian Bill Friedricks, who says that to understand the Red Car, you first need to know about Henry Huntington, one of the major power brokers of Los Angeles. If you’ve ever heard of Huntington Beach, Huntington Park, or the Huntington Library, this is that Huntington. Henry Huntington was the nephew of railroad magnate Collis Huntington, who mentored Henry and taught him the family business. When Collis Huntington died in 1900, Henry expected that he would inherit his uncle’s company, Southern Pacific. But Southern Pacific’s board didn’t want another Huntington in charge. They forced him out, but gave him a $15 million payout (about $400 million today). Henry Huntington took his money and headed for Los Angeles. He purchased the biggest transportation system in the city, The Los Angeles Railway (LARy), and then incorporated it into a new company called Pacific Electric. Huntington also started building hundreds of subdivisions on the periphery of Los Angeles, and used Pacific Electric trains—bright red trolleys—to connect the subdivisions to downtown Los Angeles. Eventually, Southern Pacific (the company Huntington thought he would inherit from his uncle Hollis) bought Pacific Electric, and in 1926 they offered Los Angles a massive plan to use public dollars to build subways and elevated trains around downtown L.A. But California voters didn’t trust Southern Pacific, which had meddled in California politics for so long that people called it “The Octopus.” The people voted against the plan. Red Car routes were decommissioned, and bus routes and freeways would eventually replace the Red Car entirely. The last Red Car ran in 1961. But if you look carefully, you can still spot evidence of the old Pacific Electric Railroad company, especially around Santa Monica. To find out more about the Red Car, check out Bill Friedrick’s book, Henry E. Huntington and the Creation of Southern California (which you can read, in entirety, for free!). Or, you can just go play L.A. Noire. No longer an Angeleno, Eric Molinsky is now based in Brooklyn, where he makes radio and draws people on the subway. Jazz legend John Coltrane offered a spiritual dimension to the jazz conversation and continues to inspire innovation amongst musicians today. 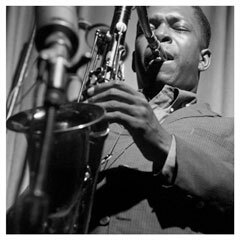 In this short segment rabbi Neil Blumofe highlights some of Coltrane's most transformational works and adds a spiritual perspective to the importance of his music in our lives today. Check out KUT's Views and Brews conversation on John Coltrane and Jazz and The Spiritual Journey recorded live at the Cactus Cafe in Austin, Texas. "I asked my father to meet me in Bogota for a long weekend in April so that I could interview him. I had heard bits and pieces about the kidnapping in the intervening years – when I would visit our family– but in the course of our interviews I realized I had known very little about what he’d endured: All I knew was our family’s side of the ordeal. These are public radio stories made over many years, by producer Jay Allison -- working together with Christina Egloff, and friends, colleagues, neighbors, strangers and whoever would take the loan of one of his tape recorders. They are are stories about life as we find it, and record it. HOST: Alex Chadwick In this hour: A Pastor's Journal	(27:23) For two months, the pastor of Park Union Church in Chicago kept an audio journal chronicling her daily life and thoughts about the career and the calling of the ministry. Produced with Rev. Susan Johnson and WBEZ Chicago. After Labor Day	(2:44) A short meditation on the end of the summer's work and the long winter ahead from writer Carol Wasserman. Produced with Viki Merrick. Retiring the Robe	(27:05) On the occasion of her retirement, this Chicago judge borrowed a cassette recorder, and with her family, reflected on her 18 years on the bench. Produced with Judge Susan Snow, Brent Runyon and WBEZ Chicago. 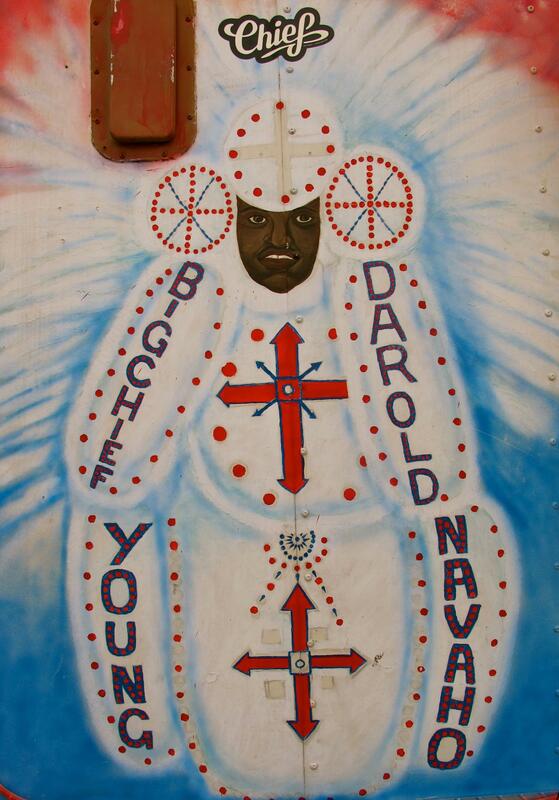 Curious about the presence of New Orleans culture in Austin after Hurricane Katrina, a group of Akins High School youth producers meet a New Orleans chef whose artistic vision and deep cultural connections teach them about the meanings of identity and tradition.